← [April fool] – Invisible Gridlines? As you see from above, VLOOKUP always returns “FN” as a result for different “peter”s. Nevertheless, the formula in E3 to E6 manage to perform case-sensitive lookup correctly. Then the question is HOW? Do you find the common function used in the formula? Exactly! That’s EXACT. So before we dive into the formula, let’s take a look at the EXACT function. =EXACT(text1,text2) ‘where you may input text1 directly to the formula with double quotes “”; or reference it to a cell e.g. D2. Simply compare the two text strings. Return TRUE for exact match with case being put into consideration (i.e. case sensitive); else FALSE. It should make sense to the case-sensitive lookup now as what follows is to get the corresponding content of TRUE, in our example, the content in range B2:B6. The MATCH function here is to get the position of TRUE, where the case-sensitive match occurs. which is the forth value in the range B2:B6, which is “Sales”. Then the VLOOKUP(TRUE…) does the easy job. Note: The vlookup value is TRUE, not D2. Reminder: Both formula 1) and 2) are array formula, which you must input by Ctrl+Shift+Enter. Note: It does not require array input! I learned this <Excel Magic Trick 987: LOOKUP Last Number In Column, Excluding Zeroes> from Mike Girvin. 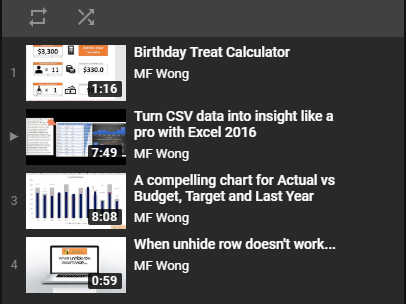 Search “ExcelisFun” in YouTube and you will see thousands of great Excel videos there. is a slight modification of the technique described by MIke Girvin. The tricky part 1/EXACT(D2,$A$2:$A$6) generates an array consists of either “#DIV/0!” or 1, nothing else. Hence the lookup value 2 is big enough to get the last (and supposed to be the only) value in the array, i.e. the case-sensitive matched item. Can’t believe this can be done so easily? It surely does. If multiple matches found, solution 1) and 2) will always return the first match; while solution 3) will always return the final match. By the way, I have never encountered a situation when I need “case-sensitive” LOOKUP in workplace. If you do, please share by leaving a comment. And also be reminded that Typo regarding is not accepted in “case-sensitive” lookup as it may give you unexpected result. That is exactly the point. Isn’t it? 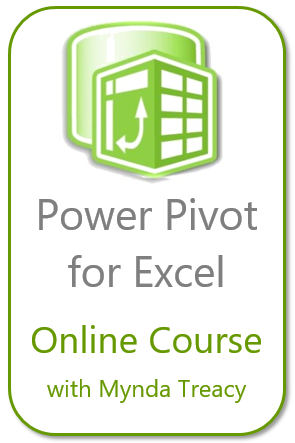 This entry was posted in Formula and tagged Array formula, CHOOSE, EXACT, INDEX, lookup, MATCH, VLOOKUP. Bookmark the permalink. Just curious why we cant use 1 as the first parameter instead of 2? Indeed that is a good question. If there is no duplicate in your list, it does not matter. Both 1 and 2 would yield the same answer. However, where there are duplicates, 2 would always return the last match; while 1 would give you uncertain answer, depending on the locations of the matched values. Try and experiment.